Barcelona has been hailed as one of the top tourist destinations in the world thanks to its cuisine, Gaudí’s inspired architecture and attention to design. However, the Catalan super-city also includes sustainability in its prestigious portfolio, and this is also reflected in a very unusual technology accessory. 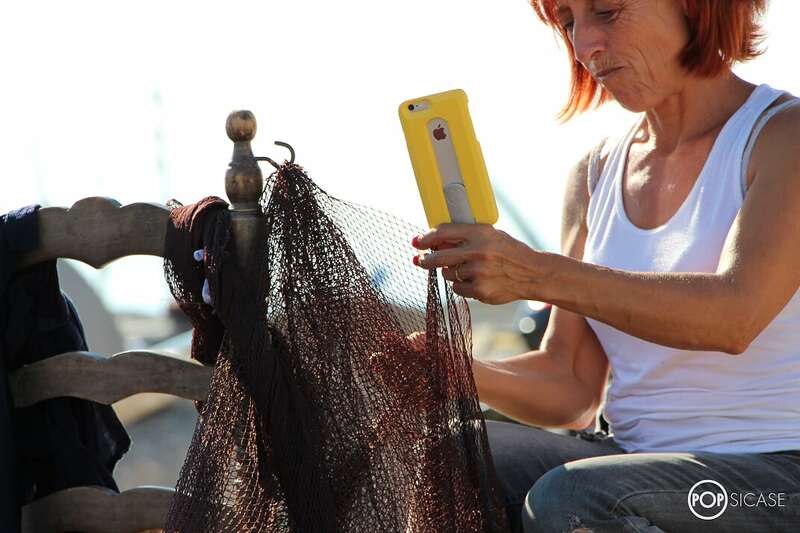 Designed and manufactured in Barcelona, POPSICASE is the world´s first robust iPhone case to be fabricated uniquely from redundant fishing nets and abandoned aluminium that have been salvaged from around the Mediterranean coastline. 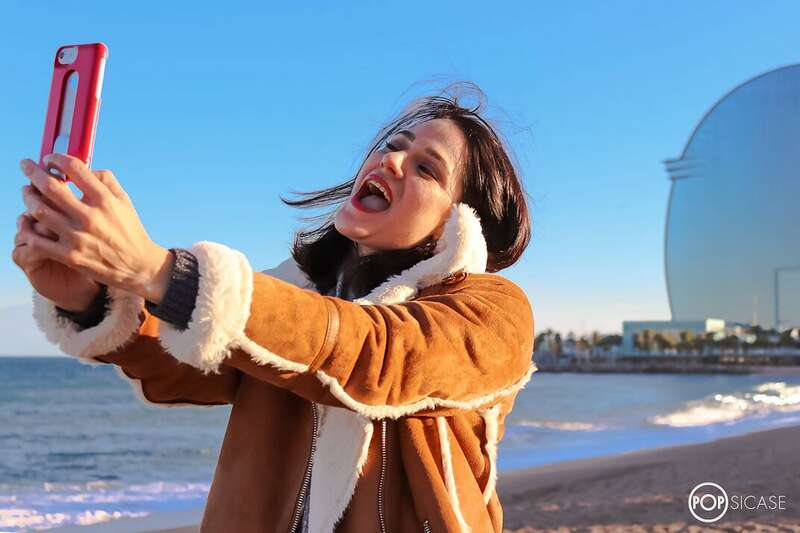 Over the last two years of its design and development, this top tech start-up has been the talk of land and sea thanks to its pioneering integrated handle which is aimed at allowing its users a more effective way to take the ´one-handed selfie´. ¨Everyone who has a smartphone will no doubt use it more than several times an hour, but if you also need a hand free for work or walking while you´re using it, then it´s indeed difficult to maintain a balanced and stable position. With this in mind the retractable, integral handle offers a perfect solution with ergonomic ease,¨ says POPSICASE’s Pablo Erlandsen. Manufactured from maritime plastics which have been sourced from the coasts of over 17 Mediterranean ports, POPSICASE has fulfilled its main philosophy which was to breathe new life into abandoned marine waste and fishing nets which would otherwise have been thrown onto an increasing mammoth rubbish mountain. Their completely sustainable manufacturing process involves the nets being shredded, melted and then molded into a stylish, sustainable and sturdy material; before being transferred over to their fabrication site where they are mold injected to create their trademark soft touch, slim-line and durable form. As well as the reclamation of these fisherman´s fixtures, the POPSICASEs´ also come adorned with supplementary aluminum fittings which are fashioned from recycled scrap metal – as a further commitment to their holistic, sustainable design as well as acting as host for its quickly retractable ergonomic handle. ¨Not only does POPSICASE address the issue of accessibility, it also fulfills our core environmental philosophy. As residents of mother earth, we realise that it is important to take special care of our environmental impacts and it is for this reason that we chose redundant fishing nets. They are easily accessible across the Mediterranean coast and are continually being renewed meaning that as a material, they already come with a story of their own,¨ shares POPSICASE’s Maria Jose Pedragosa. Originally the brainchild of architect, sculptor and holistic designer Pablo Erlandsen, POPSICASE was invented as his personal response to a desire to achieve ´the perfect selfie´. He realised that today´s smartphone ranges demand two-handed operations for stability. From this, a need was fulfilled and POPSICASE´s unique integral handle was engineered as an organic response to a universal inconvenience and the rest they say, is history. At present, POPSICASE is internationally patented in over 34 countries, meaning that anyone anywhere can take advantage of the world´s safest selfie stick; from the bars of Bournemouth to the beaches of Brazil – posing for pictures and recording video´s is as easy as ´slide and guide´ with its seamless natural control. Plus, thanks to the rigidity of POPSICASE´s selfie stick, a constant stability will ensure that your smartphone is always kept safe, whether you use one hand or two. Whatever your opinion on selfies and sustainability are, one thing´s for certain – POPSICASE will be sure to stick out as a market leader in the years to come.